The discussion took place at an emergency meeting of the party following the EU referendum result. Members of the Scottish Liberal Democrats have pressured their party's leadership to back a referendum on independence at an emergency meeting of the party on Sunday. The meeting was called to discuss the party's way forward after the United Kingdom voted to leave the European Union while Scotland voted to stay in the organisation on Thursday. Many members voiced their support for a second referendum on Scottish independence to be held if the Scottish Government could not secure 'special status' of European Union membership while staying part of the United Kingdom. If special status cannot be secure the members concerned voiced their support for the party to reverse its opposition to independence. STV understands around half of those present at the meeting supported a change in party policy. A special conference may be called in the near future to decide if a change of policy should take place. A senior Lib Dem source who was at the meeting said: "The result on Thursday has prompted a lot of soul-searching among even the most ardent of pro-Union voices in the party. 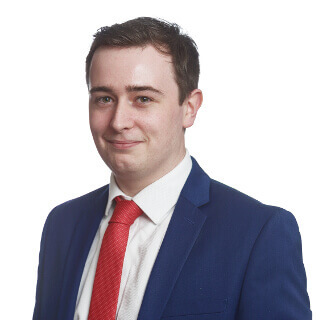 "There is an anxiety that a change of position on a referendum, to be held only after all avenues have been exhausted to try to salvage Scotland's place in the EU, would be seen as a breach of trust by those who elected the party's MSPs in May. "Nevertheless there is a recognition in the party that this referendum has changed the political landscape. "We all ideally wish to see the whole of the United Kingdom remain in the European Union but that choice may not be one that is open to us going forward. We have to find a way to adjust to that new reality that unites the party." First Minister Nicola Sturgeon has said the Scottish Government will draft legislation to bring forward a second independence referendum if she cannot secure European Union membership while the country is part of the United Kingdom. At Thursday's referendum 62% of Scots voted to stay in the EU but 52% of voters across the UK backed leaving the organisation. Support for the European project has been a central plank of Liberal Democrat policy since the mid-20th century. 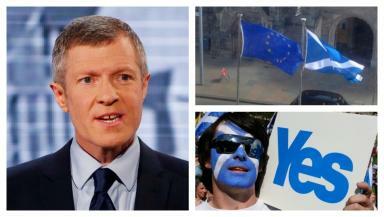 Speaking at the meeting, Scottish Liberal Democrat leader Willie Rennie said his party's policy will be to support re-entry into the EU at the next UK general election. The policy was agreed with his UK counterpart Tim Farron before the referendum result. He said: ""Last week, before the result, Tim Farron and I agreed that we would pursue re-entry to the European Union if there was a leave vote. "At the next general election, whenever it comes, that is what we will stand for. "On Thursday people had the right to choose to leave the European Union. At the next election they must have the option to change their mind". In reaction to the Liberal Democrat meeting the SNP said it welcomes "moves within other parties" to not rule out a second independence referendum. A party spokesperson said: "The vote to leave the UK has placed Scotland into unprecedented circumstances. It is the duty of all leaders and parties who campaigned for Scotland to remain in the EU to work together to protect Scotland's interests in navigating this uncharted territory. "The SNP has said all options are on the table as we seek to do this. We welcome moves within other parties to do the same." A spokesperson for the Liberal Democrats told STV that the party's policy is still to oppose a second referendum on independence.